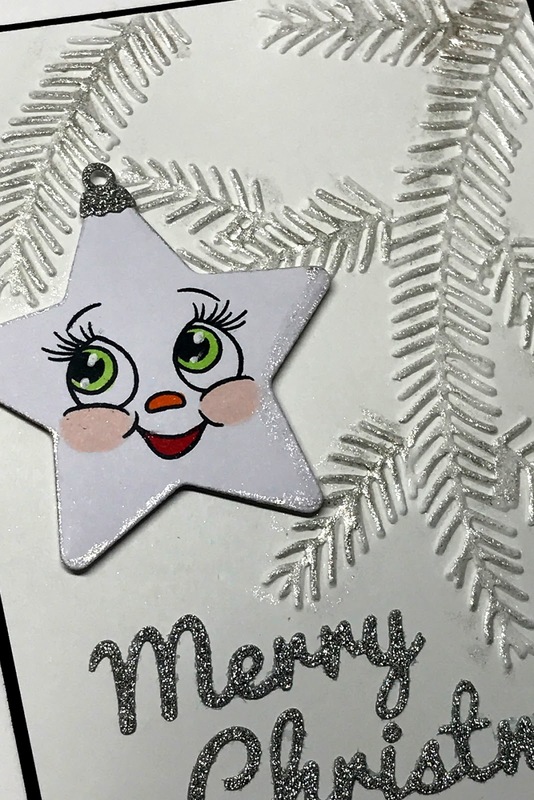 It's Donna here again with CottageCutz and Peachy Keen Stamps to celebrate their new release of face stamps that work well with the CottageCutz Christmas ornament dies. TWO NEW SIZES of Face Stamps have been added to their release, 1 5/8" and 1 7/8" to fit the super fun ornaments by CottageCutz. 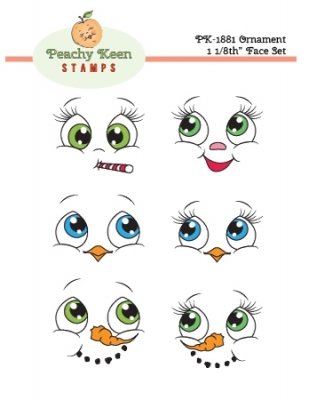 Please stop over at Peachy Keen Stamps because Kathy is offering some promotional pricing on her new stamps sets that will go perfectly with the CottageCutz dies. 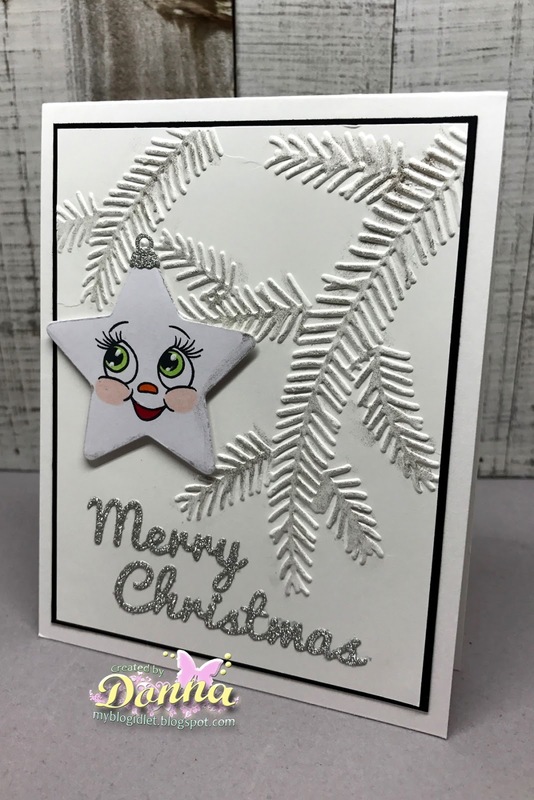 Here is my card using the Peachy Keen stamp sets Ornament 1 1/8" Face Set. 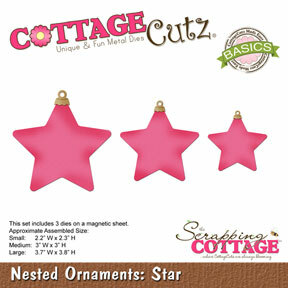 I am using the Cottagecutz Nested Ornaments: Star. 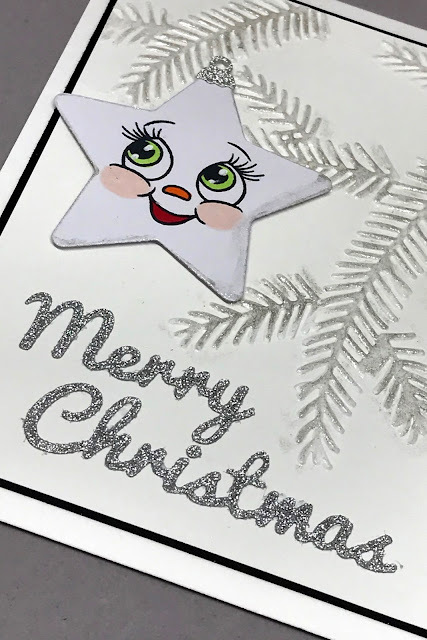 I am using the smallest star of the set. finished my card off by adding the sentiment by CottageCutz "Merry Christmas". Closer look at the star ornament, I added some clear wink o stella around the edges. 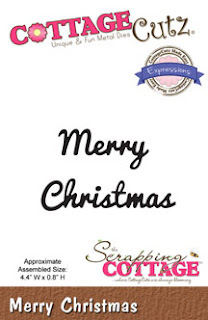 Closer look at the Merry Christmas sentiment.